Required fields are in red. These must be filled out or the form will not send. Please fill out a separate line for each order. Click dropdown menus to see choices for each blank. 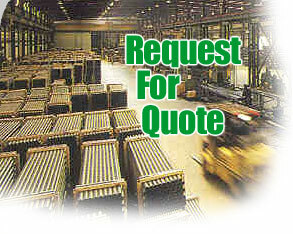 A513 LENGTH TOLERANCE - Delta Steel and Tube manufactures to tolerances within A513 specs unless otherwise requested. PACKAGING - Delta Steel and Tube uses standard product packaging unless otherwise requested. A sample of your current tube is a valuable tool in assisting Delta Steel and Tube in making your product correct the first time. Pease provide a sample for the quality assurance department. Your form data will remain visible until you SUBMIT this form.